Thanks to winter sunlight, energy consumption can be reduced. However, in summertime the sun can cause a lot of discomfort. 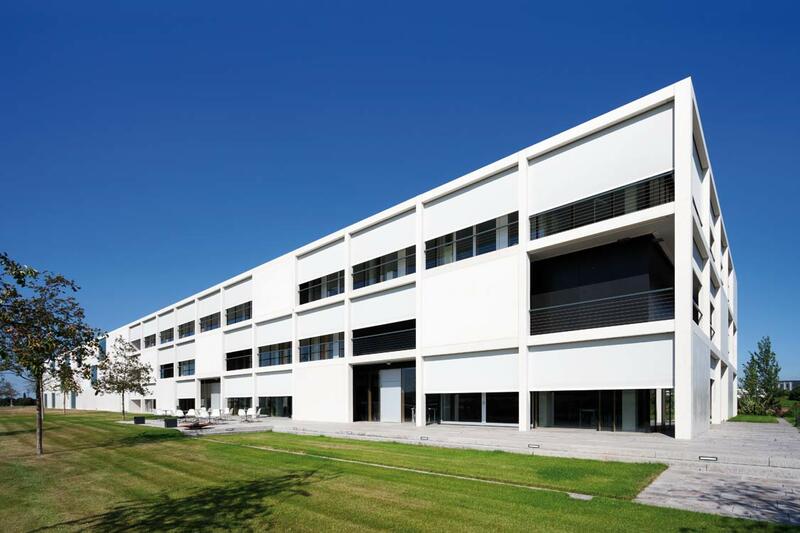 Intensive insulation of a building keeps the warmth inside, which results in overheating. The sun also interferes with visual comfort by reflecting off TV screens or computer monitors. Uncontrolled incoming sunlight can also lead to discolouration of furniture, floors and curtains. Those problems can be prevented easily by using efficient sun protection. This creates optimal thermal comfort that is warm enough in winter and pleasantly cool in summer. 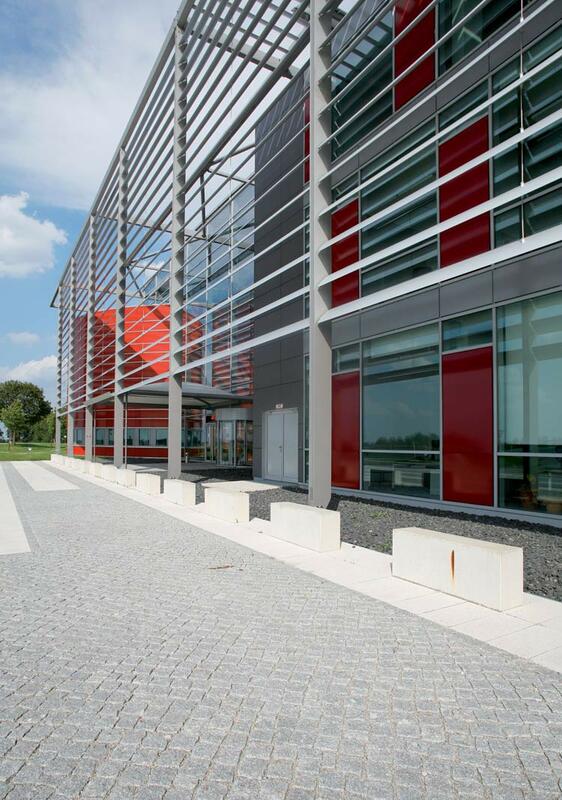 It also makes a positive contribution to the energy consumption of the entire building. 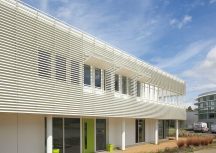 Studies show that well-conceived sun protection can reduce the annual energy consumption levels for a building by 10 per cent. It should not be forgotten that sun protection has an important aesthetic role to play. Making good choices will not only ensure that your project is energy efficient, but will also contribute to its aesthetic value. Indoor sun protection in the form of curtains, screens or blinds, is a good and relatively inexpensive way to keep the sun’s rays out. However, it is not an optimal thermal solution, because the heat will eventually get in. 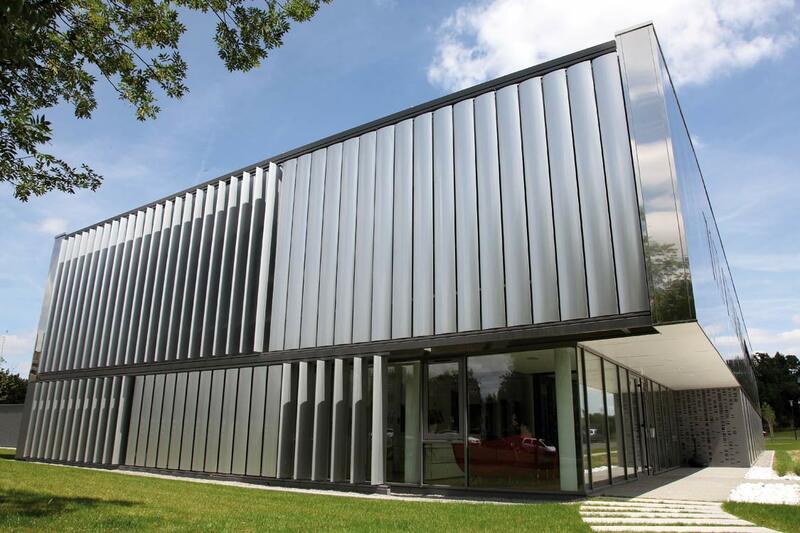 Reflective glass also provides protection from excessive solar heat. The disadvantage is that the light is also limited during the winter period, so less warmth gets in. 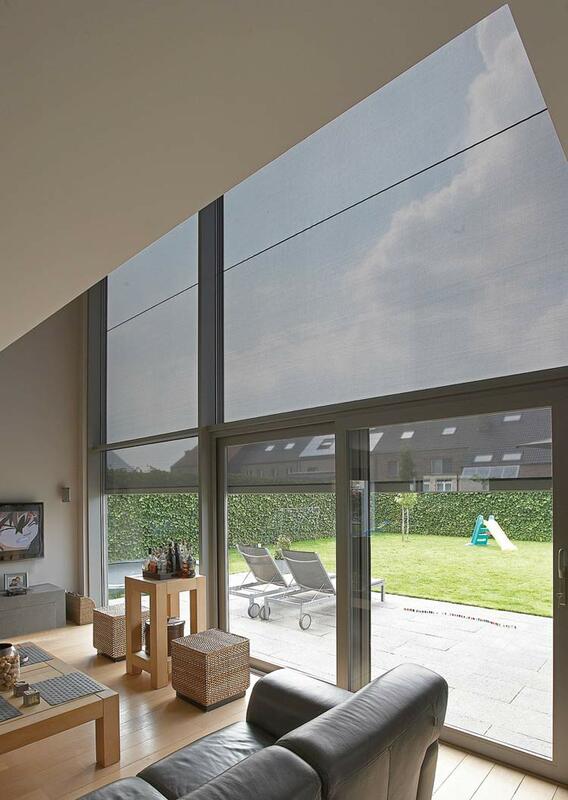 Outdoor sun protection, structural or screens, is the most efficient way to protect from the sun. It prevents the sun’s rays from hitting the glass directly. 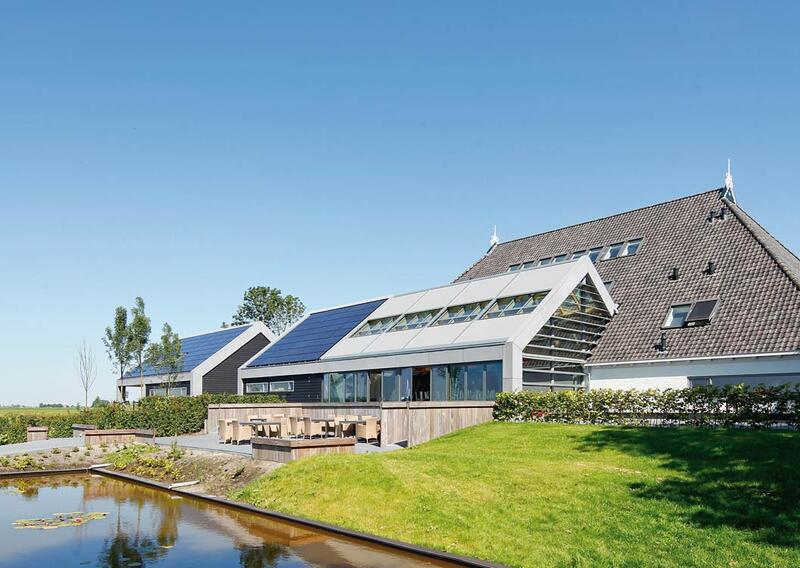 The entering of natural light and heat can be controlled depending on the situation. 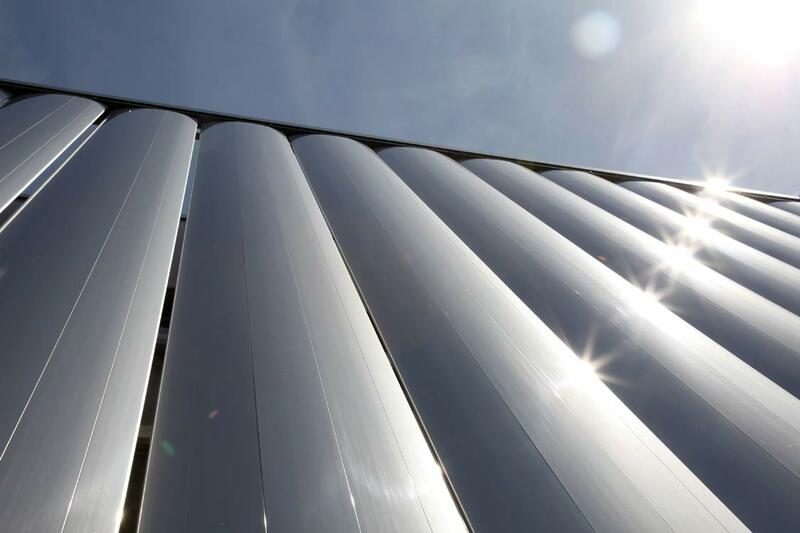 What should be kept in mind when selecting a sun protection system? 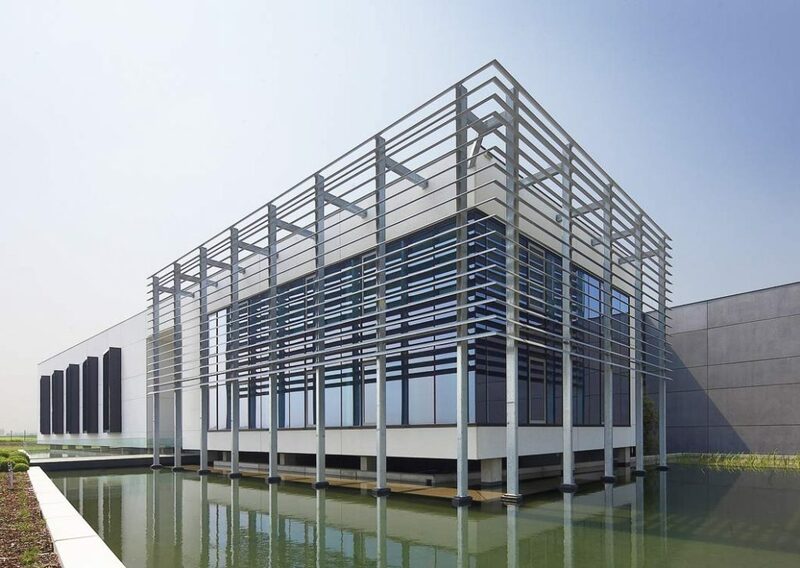 Orientation of the space: of course, you don’t have to install a sun protection system on the northern side, but on the other sides it might be necessary to have a look at the position of the sun to select the perfect solution. Function of the space: in a living room looking out to the garden, you might prefer to maintain that contact with the environment, whereas in offices one has to prevent the sun from disturbing the employees. In the bedroom, for instance, you have to make sure that no sunlight at all is entering. 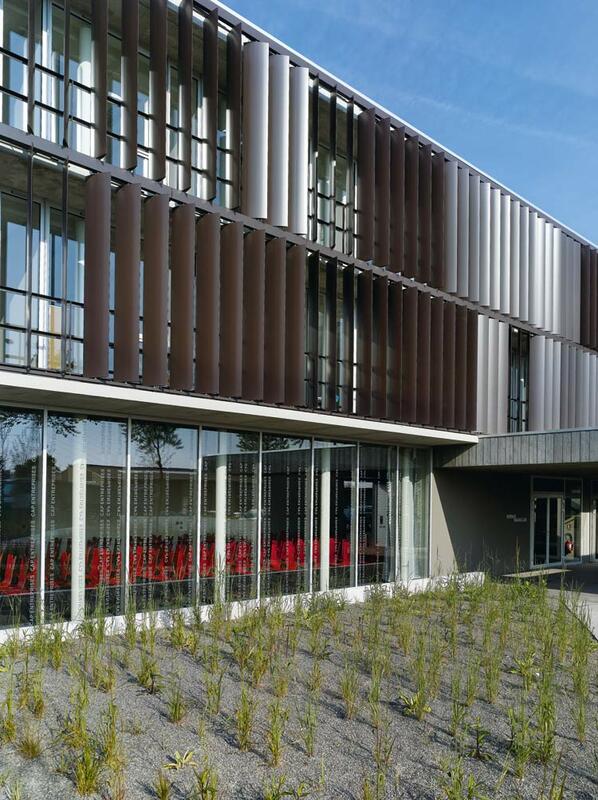 Height of the windows: when installing small windows, almost all types of solar shading solutions can be used. The larger and bigger the glass surface, the more difficult it is to block the sun’s rays. 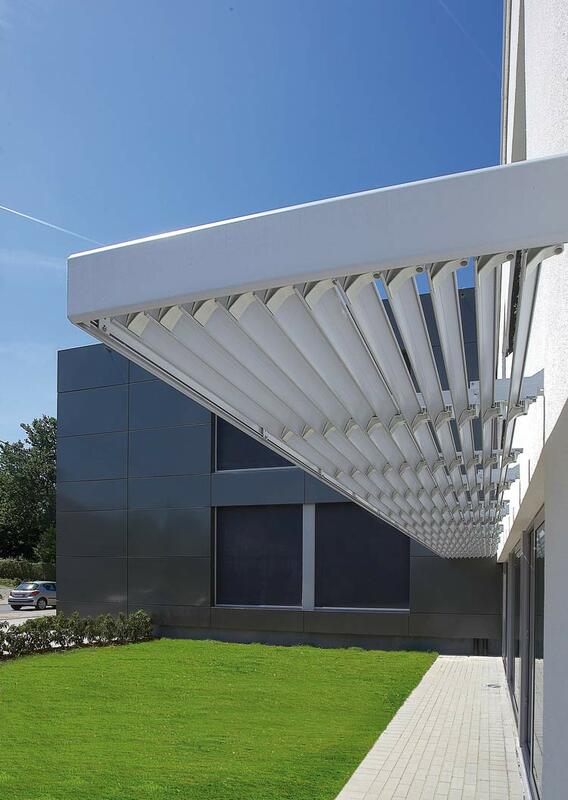 Awnings, for instance, are ideal for smaller window parts, whereas screens and structural sun protection with aluminium blades can be used for almost every surface. 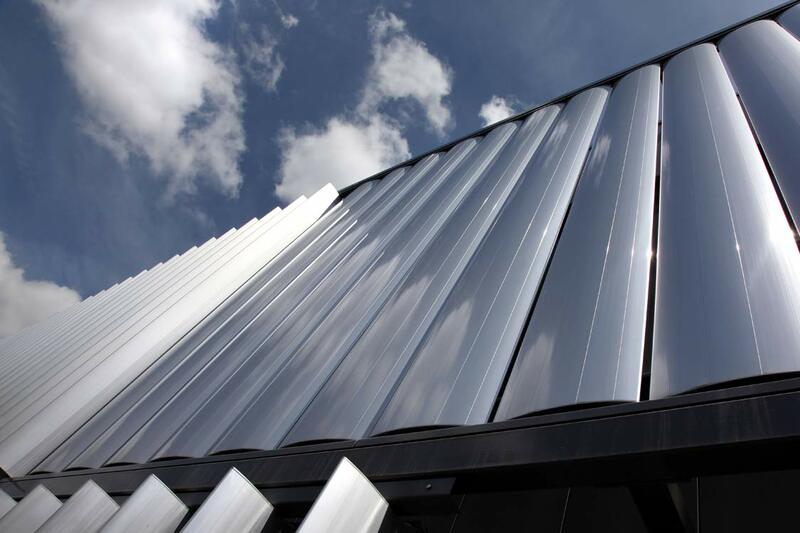 There are many different types of outdoor sun protection solutions, split up into two categories: structural sun protection and external blinds. 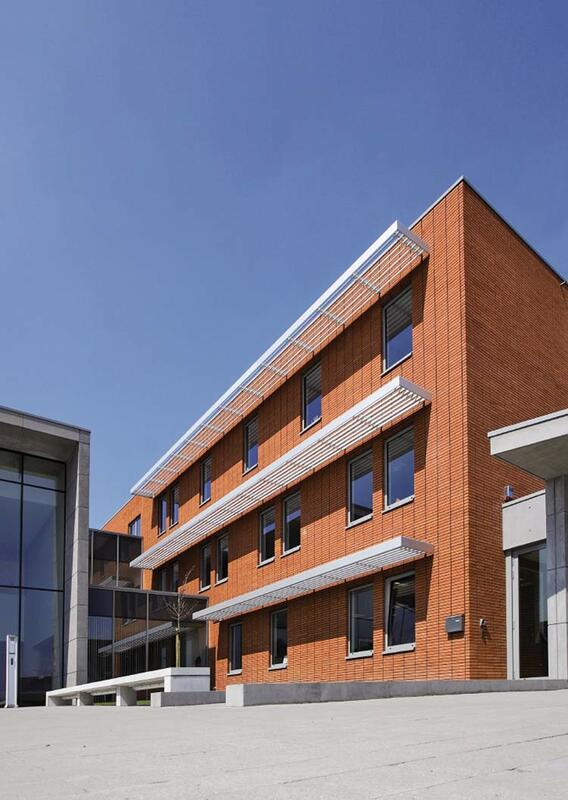 Projecting brise soleil with horizontal blades, mounted under an aluminium support structure. As brise soleil hang above the windows, they do not interfere with the view from inside. They also provide good shading when the sun stands high in summer. During winter, when the sun stands low, they allow the pleasant warmth of the sun to come in. Fixed shutters that are positioned vertically onto an anchored support structure on the facade in front of the windows. 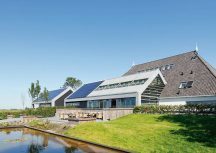 Because of the size of those installations and the fact that the blades – both fixed and moveable – always remain in front of the windows, such systems are seldom used in residential buildings but are used frequently in non-residential projects. 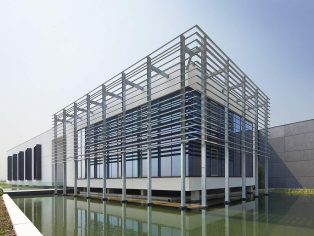 The production of such solutions is usually custom work and the installation is entrusted to steel or façade installers. 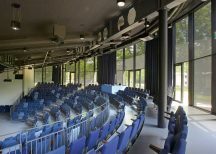 Moveable sliding panels with integrated reflective wind-proof screens, aluminium or wooden blades provide a controllable solution. 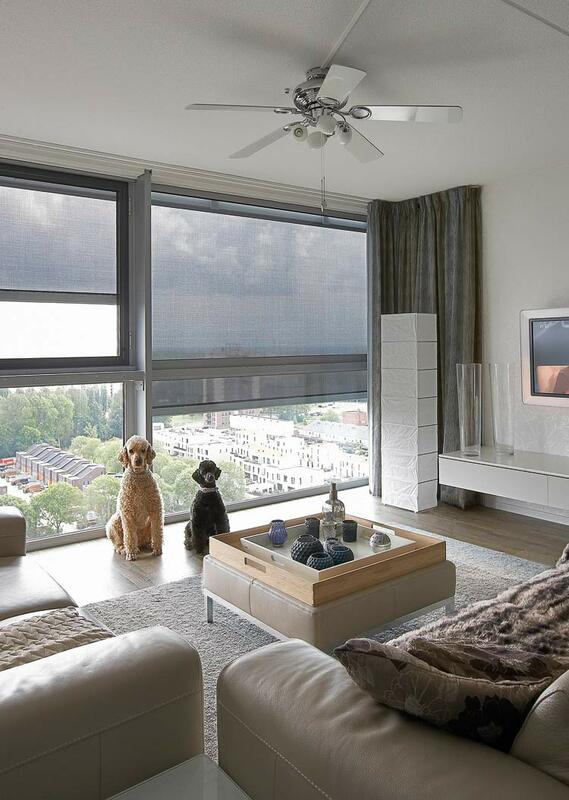 When there is a risk of overheating, the windows can be covered by sliding the panels partially or completely over them. In case of a more comfortable light inlet, the panels can easily be pushed away. 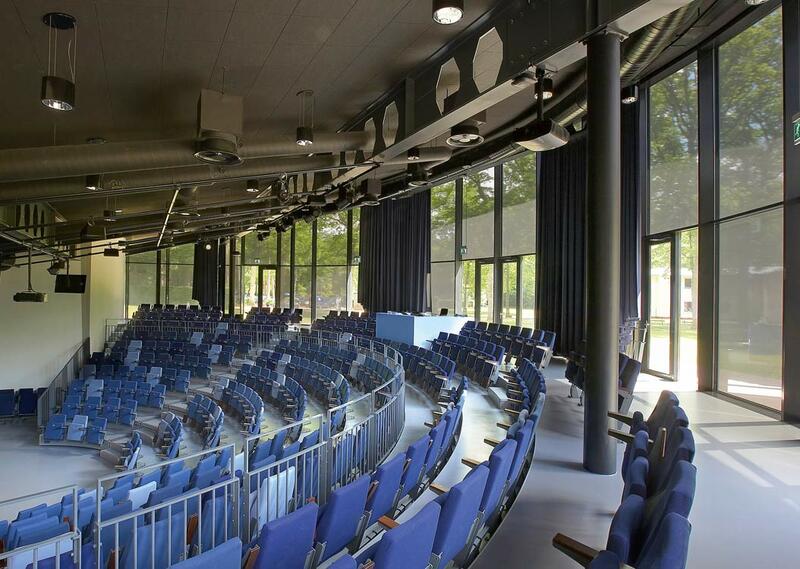 Folding shutters are a type of dynamic sun protection which can be converted from sun protection in front of the window into a horizontal open position above the window. 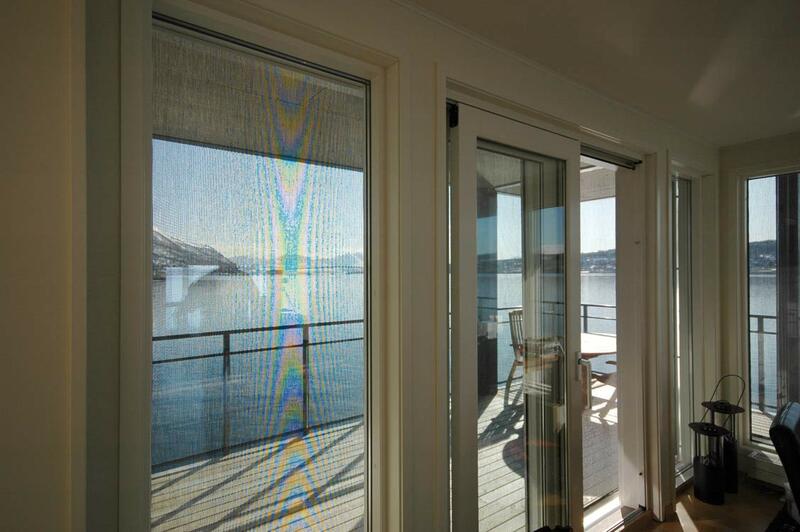 Fabric screens for vertical or horizontal glazing, such as con-servatories and roof lights, provide optimum shading. There has been a transition to windproof solutions. These systems are usually equipped with side guide zip technology. This ensures a tight and windproof screen in every position. Different types of screen have each their own characteristics. 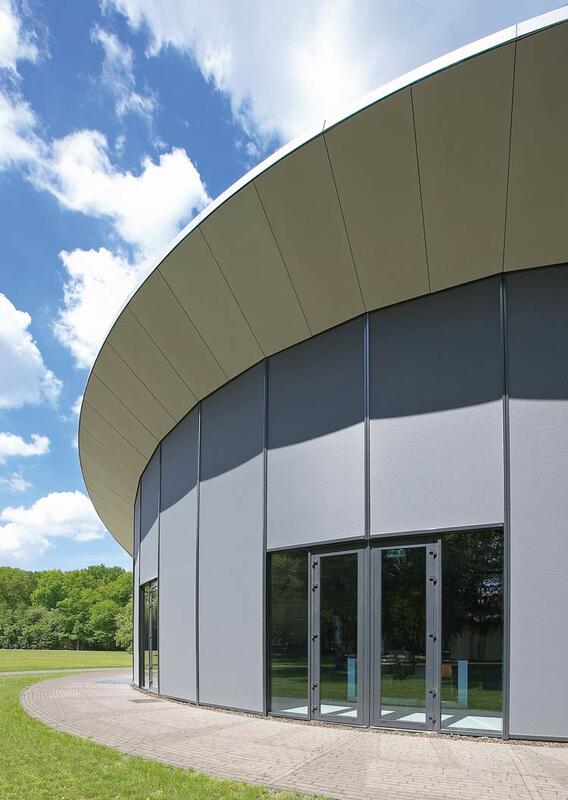 The fibreglass fabric insulates well and keeps UV rays out, is 100 per cent stable and easy to maintain. Polyester fibre cloths are also highly valued for their resistance to tearing and wear. There are also fabrics that are completely translucent, semi translucent and obscuring. The efficiency of a screen is related to its colour. Light-coloured screens allow more light and UV rays through, while darker models filter out more than 90 per cent of the UV rays. There are many different types of sun protection. Depending on your application you have to select the right solution. 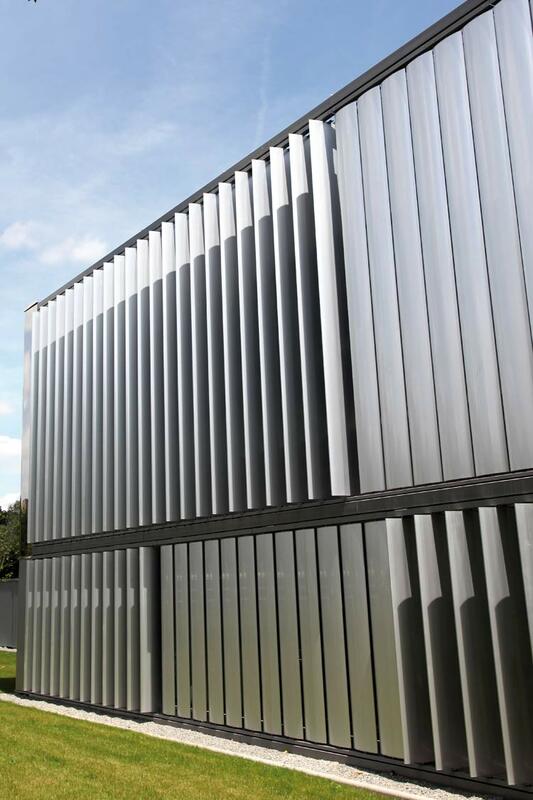 In many cases different sun protection systems are combined in a single project. 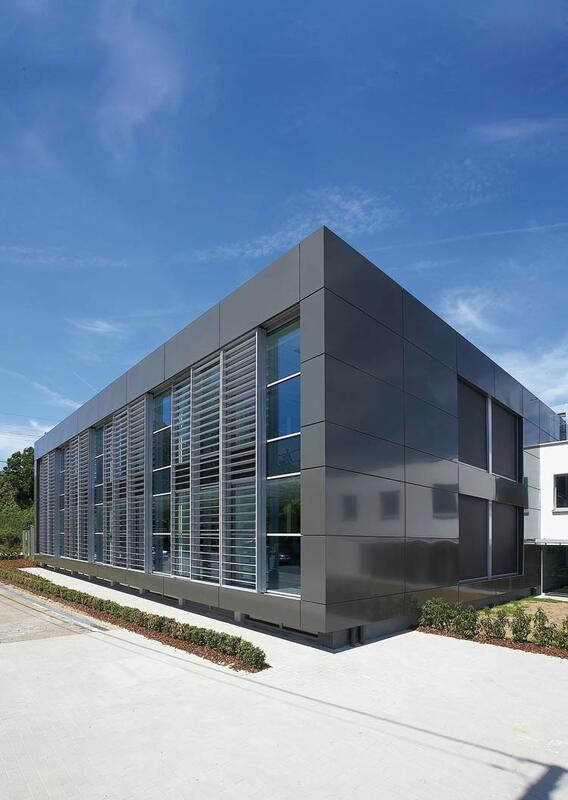 Architects, installers and end users can work together with the project teams of manufacturers to develop a suitable solution for each project.